The rotator cuff musculature imparts dynamic stability to the glenohumeral joint. In particular, the balance between the subscapularis anteriorly and the infraspinatus posteriorly, often referred to as the rotator cuff “force couple,” is critical for concavity compression and concentric rotation of the humeral head. Our goal was to determine the effect of pentadecapeptide BPC 157 on rotator cuff tear injury in rat model. 48 rats underwent detachment of the supraspinatus and infraspinatus and were randomly assigned to control and pentadecapeptide BPC 157 group. BPC 157 animals were regularly treated with pentadecapeptide BPC 157 (10µg/kg) intraperitoneally, control animals got equivalent volume of saline. Animals were observed during experiment and were sacrificed 2, 4, 8 and 12 weeks after the surgery. Macroscopic observation (muscle atrophy (m(non-operated m triceps)/m-operated(m triceps)), movement range, front leg length) and functional analysis (walk pattern (SFI), front limb muscle strength (weightlifting time) were performed. In animals treated with pentadecapeptide BPC 157 was observed total functional recovery similar to healthy animals, along with supraspinate and infraspinate tendon healing. In controls, mobility rage, muscle strength, and leg length were reduced compared to pentadecapeptide BPC 157 treated animals. BPC 157 Stable gastric pentadecapeptide BPC 157 (GEPPPGKPADDAGLV, M.W. 1419) may be the new drug stable in human gastric juice, effective both in the upper and lower GI tract, and free of side effects. BPC 157, in addition to an antiulcer effect efficient in therapy of inflammatory bowel disease (IBD) (PL 14736) so far only tested in clinical phase II, has a very safe profile, and exhibited a particular wound healing effect. It also has shown to interact with the NO-system, providing endothelium protection and angiogenic effect, even in severely impaired conditions (i.e., it stimulated expression of early growth response 1 gene responsible for cytokine and growth factor generation and early extracellular matrix (collagen) formation (but also its repressor nerve growth factor 1-A binding protein-2)), important to counteract severe complications of advanced and poorly controlled IBD. Hopefully, the lessons from animal studies, particularly advanced intestinal anastomosis healing, reversed short bowel syndrome and fistula healing indicate BPC 157′s high significance in further IBD therapy. Also, this supportive evidence (i.e., no toxic effect, limit test negative, LD1 not achieved, no side effect in trials) may counteract the problems commonly exercised in the use of peptidergic agents, particularly those used on a long-term basis. 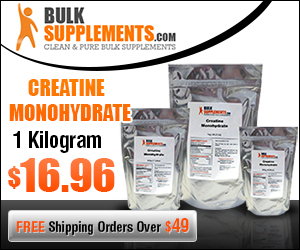 what is BPC 157 used for in humans/bodybuilders? well BPC 157 is known for super quick and professional Joint/tendon/ligament healing in all phases of clinical trials.. studies are shown here: BPC 157 has been shown in studies to heal torn quadriceps muscles, detached Achilles tendon, muscles that have been damaged/crushed. Demonstrating dramatic fast recovery from muscle tears. Tendon to bone healing – increased ligament healing, BPC 157 has a variety of protective effects in the organs. Clinical trials demonstrate healing and prevention of stomach ulcers and it is being studied as a burn treatment. Trials show it may help repair some liver damage after prolonged chronic alcohol exposure. No adverse reactions have been seen in clinical trials. BPC 157 peptide has been shown to heal a variety of wounds in all areas researched, including internal organs, muscles, ligaments, tendons, skin, internal lacerations from surgery, etc. how long can I wait to see some effective results/benefits from this product? well personally for me I’ve been using for 1 week and the results are astounding! my right hip is now moveable I’m almost at a point where i can go in the gym and smash legs harder then before, my right bicep IM injections with it has had immaculate results thus far the pain is greatly diminished and I’m able to pick up things mildly heavy whereas 4 injections previously i was in bad pain/weakness and now… its feeling strong/harder then previous. usually results will take 4-6 weeks, because yes of course your injecting the drug but the human body has a set healing rate, but with BPC 157 the healing will be imo 100% faster then regular and the also the healing will be more complete whereas before you would only get around 80% of what you had before. How long can I run BPC 157 for? BPC 157 can be run for 4 weeks, followed by a 2 week rest. after this if you are still not feeling 100% it’ll be safe to run another course of BPC 157. How do you reconstitute BPC 157? 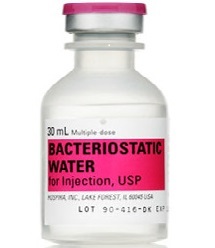 simply pop the cap off, gently alcohol swab the stopper, then let it dry, same goes with the BAC water vial. then dose out the correct amount of BAC water. then slowly put the needle in… then slowly but surely inject the BAC water along side the vial making sure you do not indirectly inject on the peptide powder, however once you have done the first dose and the powder I essentially mixed you can inject on the bac water, that is fine. Note* this is done with 2mls of bac water, that would be 2 whole 1ml/1cc insulin syringes. 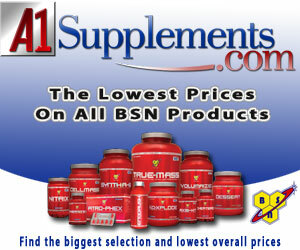 How do I Dose BPC 157 for optimal results? you can use anywhere from 200mcg being a medium dose up to 500mcg … depending on severity of issue ( if severe) dose 2x a day at 350 mcg totaling 700 mcg. Is BPC 157 IM or sub q injection? BPC 157 is both, you can do IM or subq as close as you can to the injection site, preferably around 1-4 inches away to yield the most benefit to the injured area. what are the side effects of BPC 157? there are absolutely none that i know of well No one knows, however the first time i used it i got a head ache and felt generally sick, however this was only for a day. I’m now 100% this is most likely a coincidence, most probably a body reaction to the first time. to be honest there are no side effects, its in clinical trial phase 2 ATM and they have reported 0 effects, only positives. what syringe/needle size is good for this peptide? all needles would be good for this peptide depending on where you want to inject, however a 1ml/1cc 29 and half inch insulin syringe is optimal for most sites on the body. what is the cost of BPC 157? bpc 157 is relatively inexpensive and the results are worth the money as it could permanently strengthen your weak joints/connective tissues/muscles unlike a placebo supplement where it yields good results and once you come off, your joints are crying out for mercy. the general price is around $25-50 USD. generally if run at the baseline 200mcg dose, 1 5mg vial will last 25 consecutive days. $25 usd for 1 bottle, is well worth it! where do i store this? just like another peptide keep it away from UV/sunlight. it can stay in room temp for up to 10 weeks, however for best storage/results store in a fridge and use until vial is run out then discard of it. For other BPC 157, they can stay in the fridge too as they’ll last up to 6 months, whereas if you had more you can store in the freezer( up to 2 years). that’s everything you need to know about BPC 157 guys! hope you enjoy the read and this will help noobs/future injured athletes or current injured gym addicts try it.